Unfortunately, the period between Thanksgiving, to New Year’s Eve, to Super Bowl Sunday, tend to foster the highest rates of drunk driving and therefore car accidents and personal injury litigation. While, according to the National Highway Traffic Safety Administration, alcohol-impaired driving is causing fewer holiday driving fatalities each year, the number of lawsuits spurred by holiday incidents is still on the rise, and there is still an increase in alcohol-related traffic accidents around the holidays. 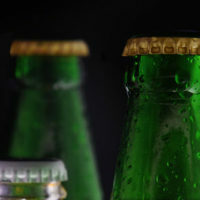 Litigation associated with drunk driving incidents is not only sometimes brought against the responsible driver, but can also be brought against the establishment that provided the alcohol to the driver. 42 states, including Florida, have what are known as “Dram Shop Laws,” whereby the establishment that serves the alcohol can be on the hook for legal liability if it serves a visibly-intoxicated individual more liquor, and that individual then causes an accident. Under these circumstances, a facility may become liable for damages or injury caused by the intoxication of the individual. These types of dram shop lawsuits have been filed in Florida. Take one case of a football player who died when he crashed his car into a house. The lawsuit was brought by his family against the bar he frequented, it alleged that he was at that bar frequently enough for the employees to know that he was addicted to alcohol, and they decided to serve him anyway, which led to the accident that caused his death. If you have been injured by a drunk driver, contact our Florida personal injury attorneys at Douglas & Carter, Attorneys at Law right away to help look into your case and advise you of your rights. It is possible that additional parties could be held responsible for your damages, including the establishment that served the driver alcohol.